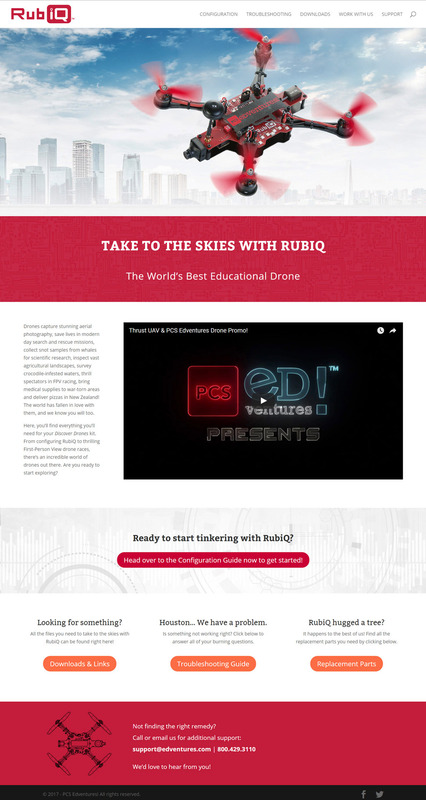 RubiQ is a PCS Edventures! 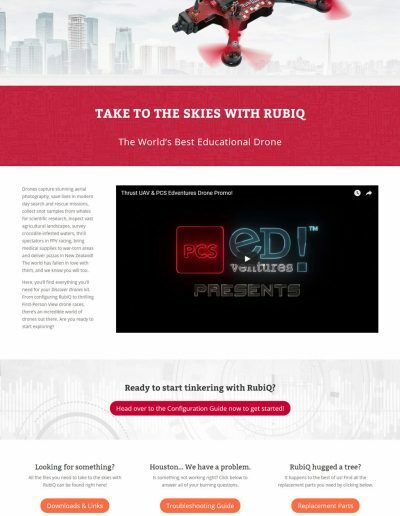 drone from the Discover Drones STEM education classroom set which is receiving International attention as a high quality drone exclusively designed for students to assemble, program, learn the in’s and out’s of flying to racing competitions. It is an excellent and relevant program for the careers of the future. Designed and maintain the website technology. This site has a social network component along with two separate forums for educators and students to converge, receive technical support, get the latest program information, learn about up coming events and opportunities and share their experiences and experiments with program participants.